In 1973, Secretariat, the greatest champion in horse-racing history, won the Triple Crown. The only horse to ever grace the covers of "Time, Newsweek," and "Sports Illustrated" in the same week, he also still holds the records for the fastest times in both the Kentucky Derby and the Belmont Stakes. He was also the only non-human chosen as one of ESPN's "50 Greatest Athletes of the Century." The tale of "Big Red" continues to be a classic, more than 30 years after its initial publication. Walt Disney Studios is scheduled to release the still untitled movie based on the book in October 2010. We will have access to all of the key art from the movie for this tie-in which we will be utilizing for the cover. 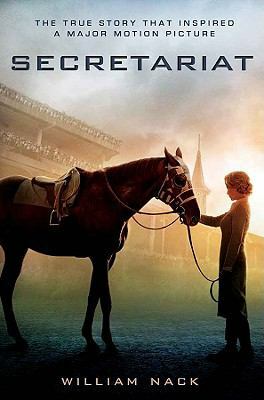 Currently out of print, "Secretariat" will be the official movie tie-in edition.